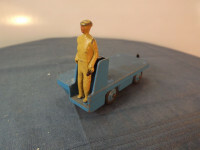 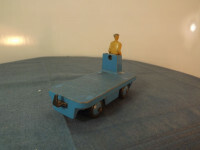 This model is the Dinky 400-G-1 B.E.V Electrical Truck in dark blue with a tan driver. The model features an open, cast body with tan driver attached. The under side of the casting carries the reference "14A" from the previous issue of the model. 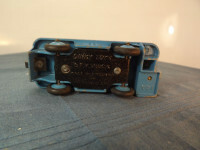 The base plate is black painted metal. It is marked with "Dinky Toys B.E.V Truck" at the top centre and "Made in England by Meccano Ltd" in a block of three lines just below this. 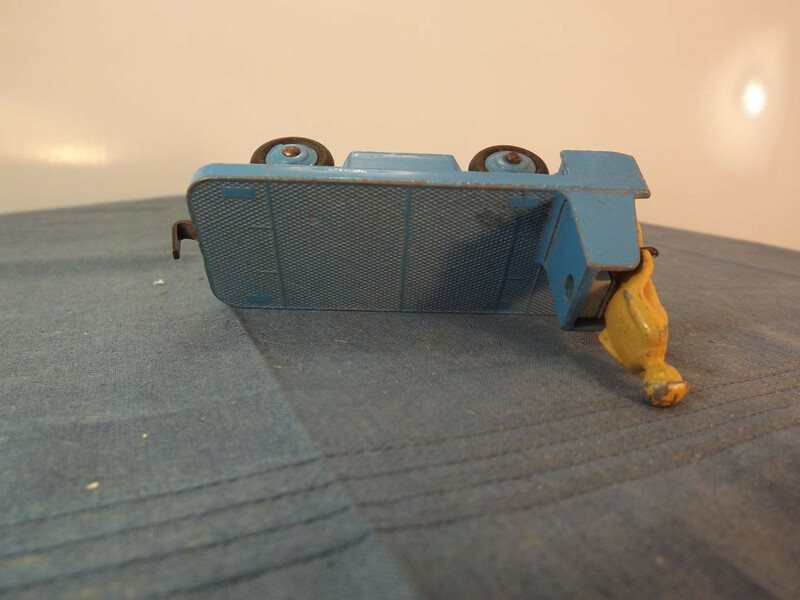 All wheels consist of cast blue hubs with black rubber tyres.